Starting a new kitchen remodel is exciting. So many things to pick out, some people can also find it a bit overwhelming as well. It can help to have a pro on your side to guide you through the process. 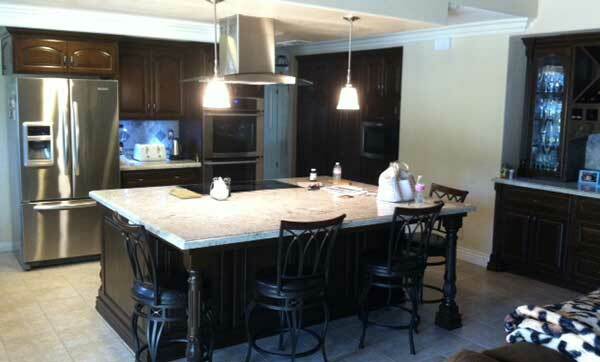 Our goal is to help you through each step, and that begins by asking you how you envision your dream kitchen. With so many clients, it’s not a surprise, that there are some popular kitchen trends requested time and time again. 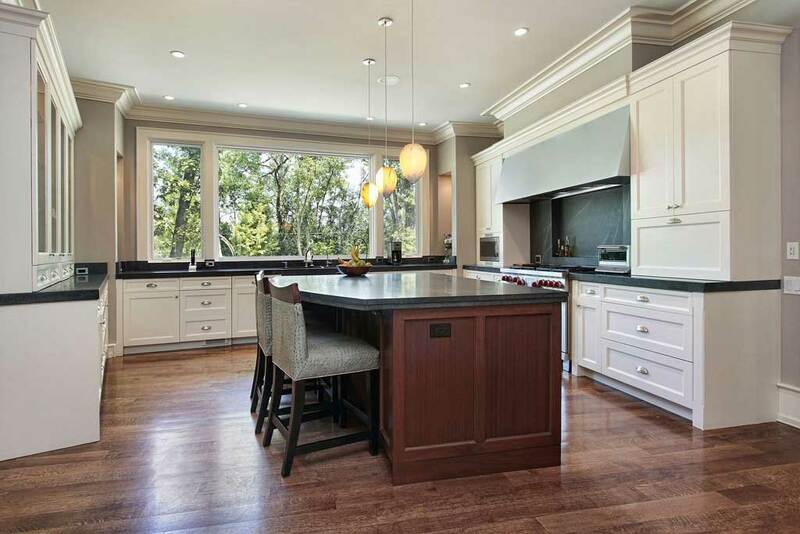 It’s probably not a surprise that adding a kitchen island is a common request in a remodel. The extra storage gained can really help to maximize the space, along with the extra seating. It usually becomes one of the focal points of the kitchen. 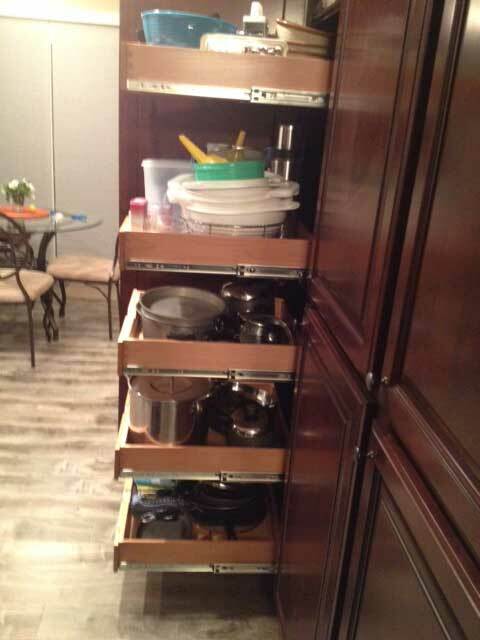 Not all kitchens are big enough for a large island, and have enough clearance for 42″. In that case, you can consider a long narrow kitchen island, or even a very small island. 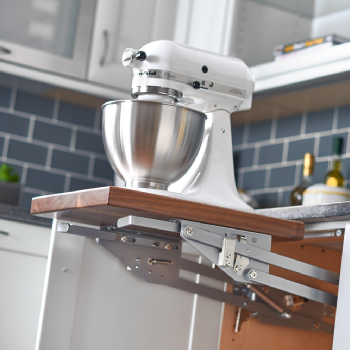 Sometimes, even a small, stand alone table on wheels can give you a little extra space. 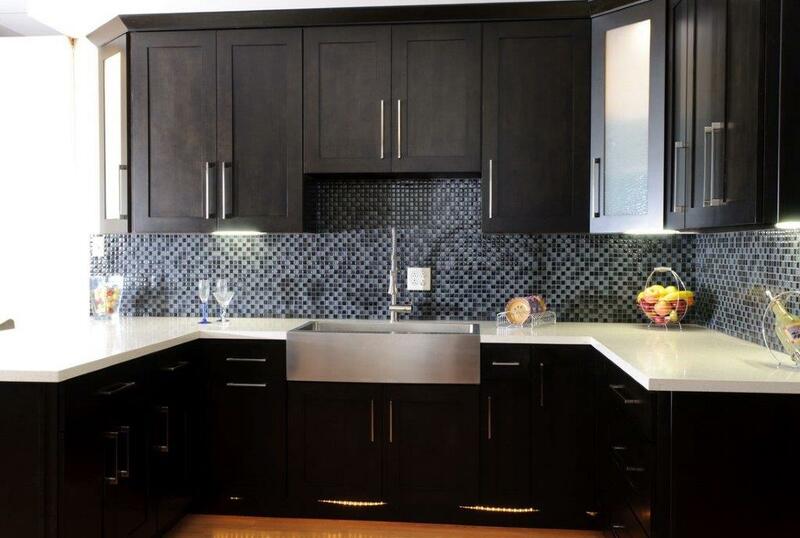 Instead of a double sink, kitchen remodelers are requesting single sinks that are larger. Why? They fit larger pots and pans. More prep space in the kitchen is requested time and time again. It’s more common to have more than one cook in the kitchen, and everyone can use more counter space. More prep area, especially next to the sink, is requested by clients, quite often. One option for adding more counter space is to add a peninsula. It can serve as a prep area, or a place to eat. We get requests to add more storage with every project. 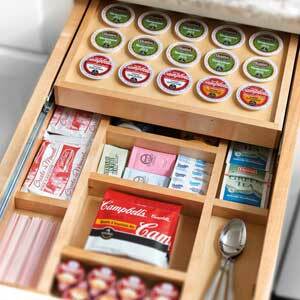 Whether you have a walk in pantry, or a tall cabinet, one option we really like is adding roll-out shelves. 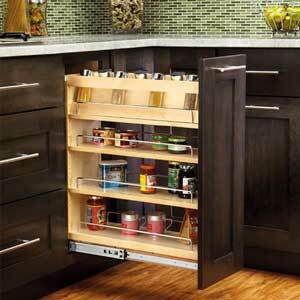 Instead of guessing what’s in the back of the cabinet, you simply roll out the shelf and have full access. Adding a place to eat in the kitchen that’s a more casual dining option than the more formal dining room is a good choice. Just a quick spot to sit down. 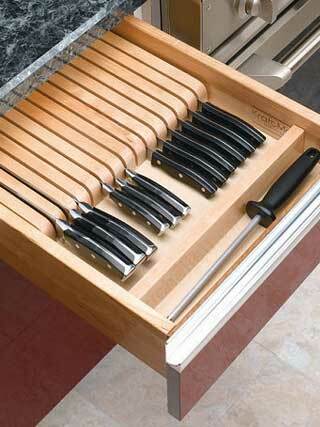 This is often incorporated into the kitchen island or peninsula. Many appliances and other kitchen accessories seem to clutter up kitchen counters. Use things like utensil storage, spice pullouts, appliance garages and knife storage pull outs to keep your counters clear and clean. 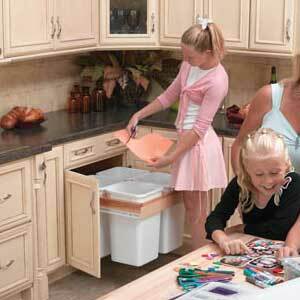 Trash and recycle bins are often an eyesore. Having a place to keep them in the cabinets keep them out of sight. To learn more about popular kitchen trends for your kitchen remodel, call us today at 714-693-1111 or stop by our Anaheim showroom and talk to a pro for your free kitchen remodeling estimate.